Tim's Miniature Wargaming Blog: ANOTHER Jet Bike! Regardless, I have finished up the second jet bike I bought in January just to have some jet bikes to start playing with before the Jet Bike Construction Kit Kickstarter bikes arrive. I may even get to PLAY with these before the kickstarter bikes arrive, as long as they don’t arrive today… in the early afternoon. (I have to admit, I wouldn’t be too sad if they DID show up and I didn’t get to play with these before the is shows up... though I might end up NOT playing and end up spending the afternoon ASSEMBLING!). 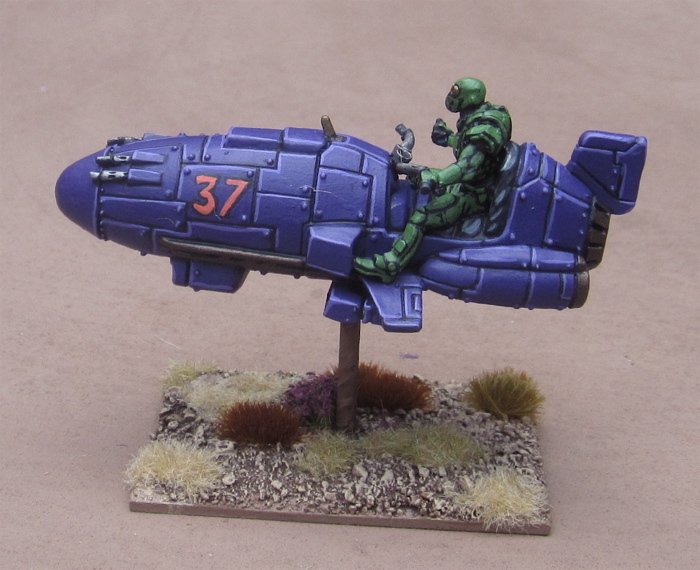 As with the previous Jet Bike, this is another “Purple Shark” jet bike from Prodos Games. This one I have actually painted purple. This one seems a bit more... plain than the other... I got to thinking maybe I should add some sponsor logos and stuff - either to the bike or the rider's racing suit...? 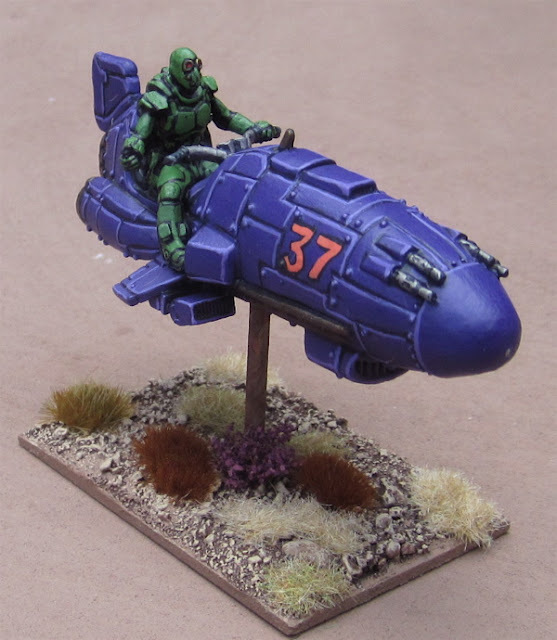 Scots Covenanters, Rick’s Lost in Space Robot… or maybe MORE JET BIKES!? Maybe something for the guy's suit. The bike is ok because, well...purple! I probably won't add anything to this one - once figures are done, they're DONE and I generally can't be bothered to go back and add stuff. (though I have been known to go back and change the hair colour of a figure use din a role-playing game to match the actual character description...). 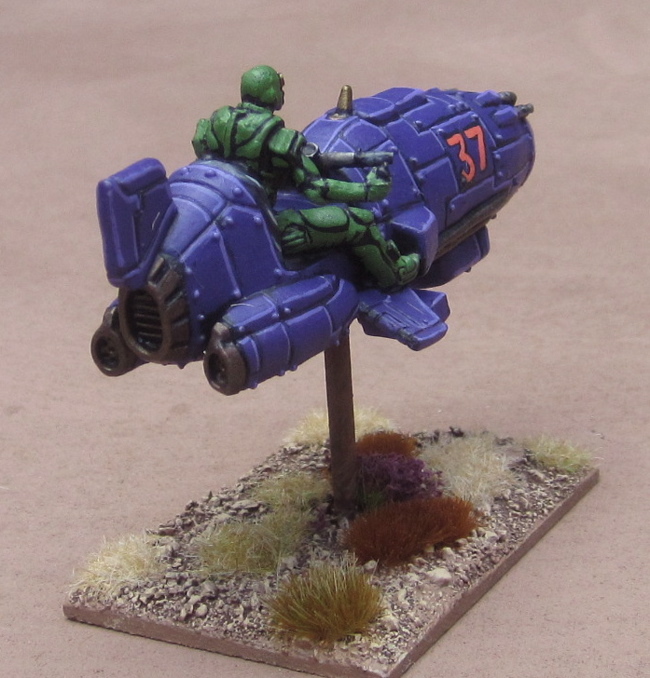 But I may consider sponsor logos for future jet bikes. 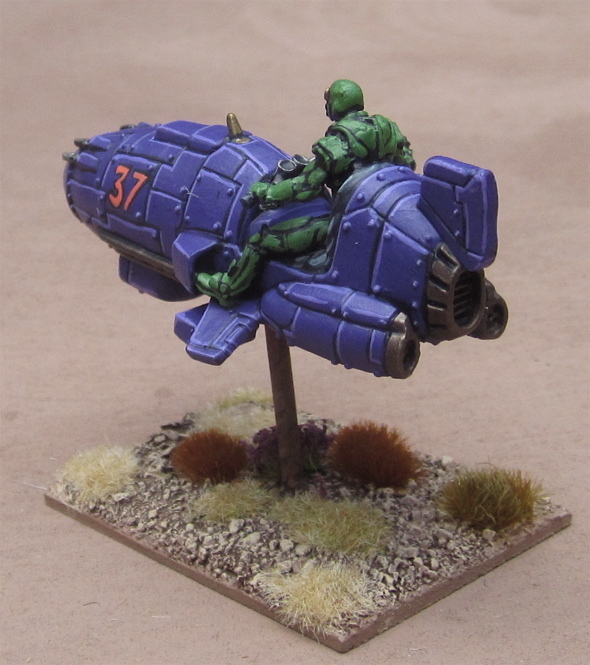 Another great looking jet bike, I still prefer the first one for no reason that I'd be able to tell you! Maybe a yellow spiral pattern on the nose cone? Not sure I'm all that keen on the green uniform of the rider. I'm not so hot on it either... but at this point I can't be bothered to change it (when there is so many other things that don't have any paint on them!). 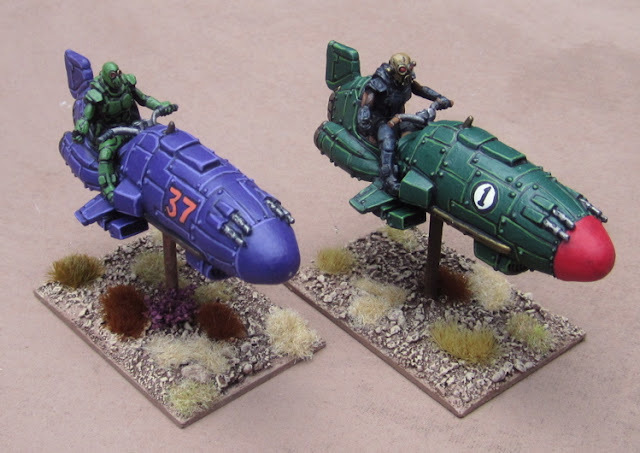 In other news, I just got a notification that my Jet Bike Construction Kit Kickstarter rewards are in the mail! Woo!